Thursday, 31stMay 2018 – Tonhalle Maag, Zürich. 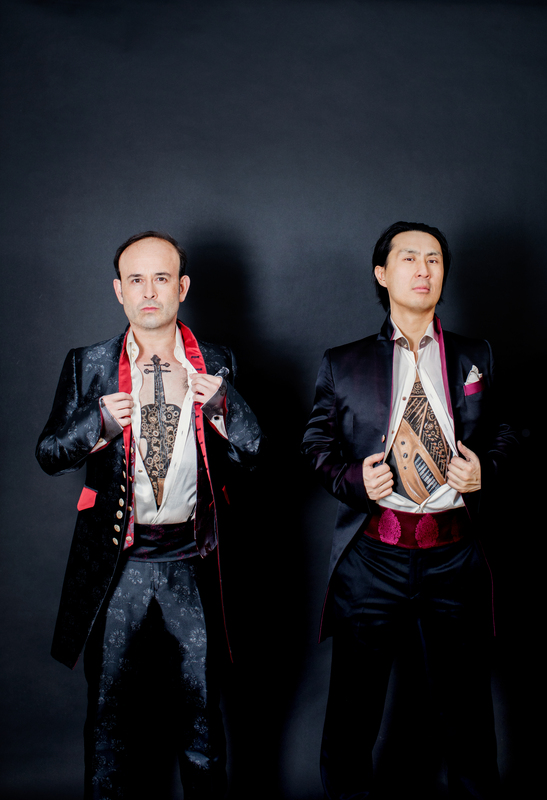 The hilarious musical duo IGUDESMAN & JOO premiered two new shows with the Tonhalle Orchester Zürich to commemorate the orchestra’s 150thBirthday. In the first half of the program, Aleksey Igudesman plays novice to Hyung-ki Joo’s expert on a tour of epochs from the stone age to today in TheHistorical and Hysterical Guide to the Orchestra. The second premiere, hailed as “simply sensational” by the Neue Zürcher Zeitung, Clash of the Soloists, pits the pair against one another in a boxing-inspired dual of virtuosity. With the soloists dressed for battle, Tchaikovsky’s piano concerto fights the violin concerto; then second round: Mendelssohn’s violin concerto against Schumann’s Piano concerto. Finally, with some marshalling by the conductor, dressed as Superman, they come to a climactic throw-down cadenza.